Best quality of offered products is one of the key BART’s priorities. 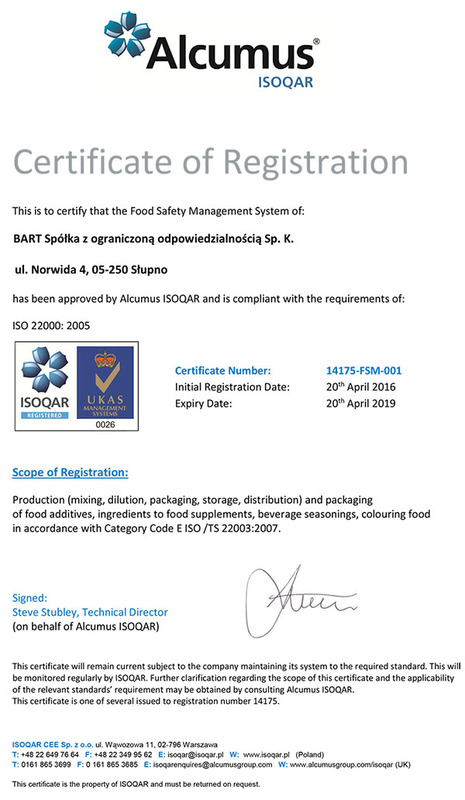 Since 2004 we have been HACCP system certified. 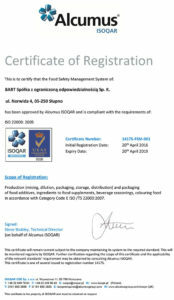 Integrated Management System in line with PN-EN ISO 9001:2009 and PN-EN ISO 14001:2005 had been implemented and certified in 2007. 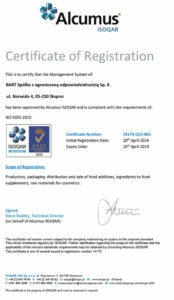 Then, in March 2016 for the purpose of continuous improvement we have implemented Integrated Management System in accordance with ISO 9001:2015 paying significant attention to business aspects and 22000:2005 relating to food safety. 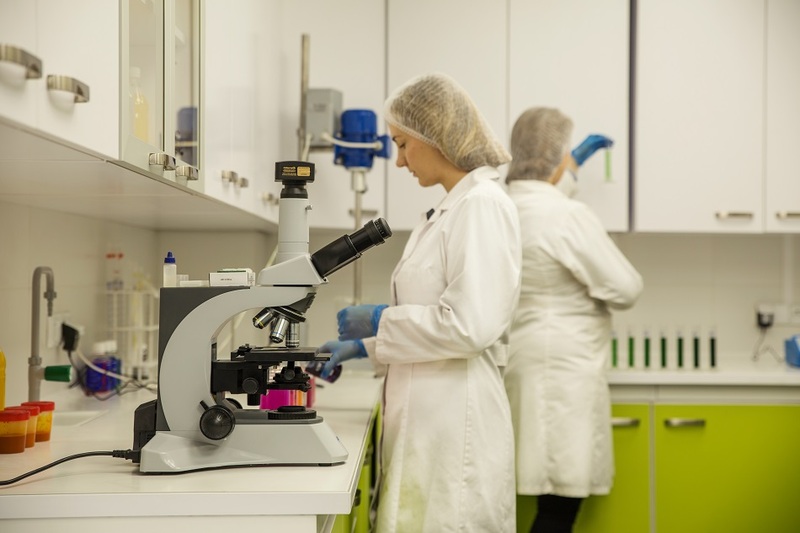 Quality assurance system is certified by accredited British UKAS. 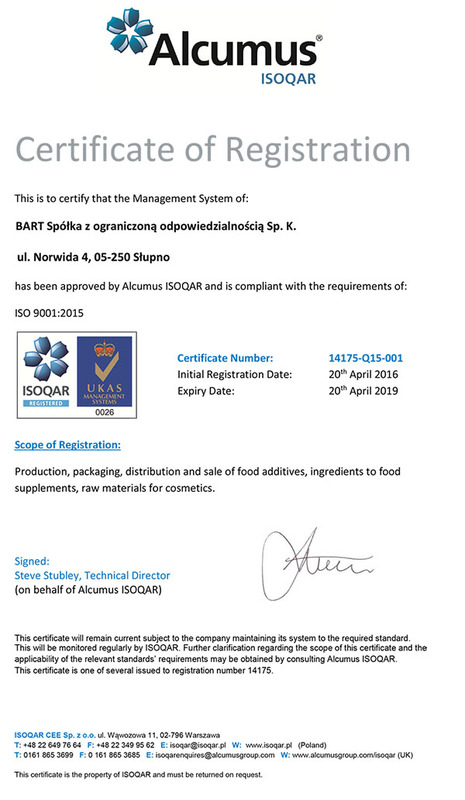 High quality of our products is confirmed by products safety warranty, product repeatability and meeting market requirements, which contribute to increasing trust of our customers.